ZKTeco products are available in approximately 180 countries and regions and the company had become a become a well-recognized, respected and sought after brand in the security and biometrics industries. VDI carries on the motto of ZKTeco of “Responsibility, Integrity, Innovation, and Excellence” which is present in everything we do. The biometrics software alone is a product of three decades or research which led to the creation of the world’s first multi-biometric device, standalone fingerprint access control, and biometric access control panel. Our partners are assured that they will be offering only the best products from ZKTeco. Products that are highly competitive in the market and is unique and has an edge over other competitors in terms of pricing and efficiency. than 220 million people use ZKTeco products in approximately 180 countries/regions every day. 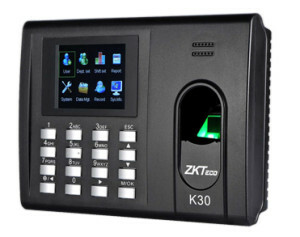 ZKTeco has become a well recognized, respected and sought after brand in the security and biometric industries. 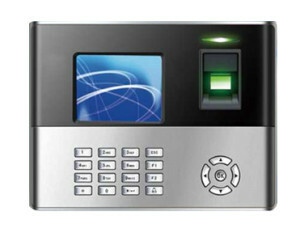 2.8 inch TFT Screen Time and Attendance & Simple Access Control Terminal. It has interfaces for third party electric lock and exit button. Designed for elegant appearance and reliable quality. Innovative biometric fingerprint reader for time attendance and access control applications, support optional backup battery, GPRS and Wi-Fi. The 3-inch TFT can display more information vividly, including fingerprint image quality and verification results. • Real-time 1-touch data export 3rd party hosted & non-hosted applications.